There are so many potential jobs available in computer fields these days that it can be difficult to decide if you want work in computer networks or IT support, just for example. However, if you find that designing network architecture and implementing system plans fascinates and thrills you, a career in network engineering is probably the way to go. Some people prefer jobs later in the life cycles of networks – they would rather provide technical support or handle daily operations as network administrators. If you wish to puzzle out front-end problems regarding planning and design, you’re a good candidate for network engineering. So how do you get started? What steps can you take to get your career in network engineering underway? Here are a few tips to help you kickstart your career of choice. Schooling is essential to becoming a network engineer and you should focus on areas like computer science, computer engineering, or information systems. 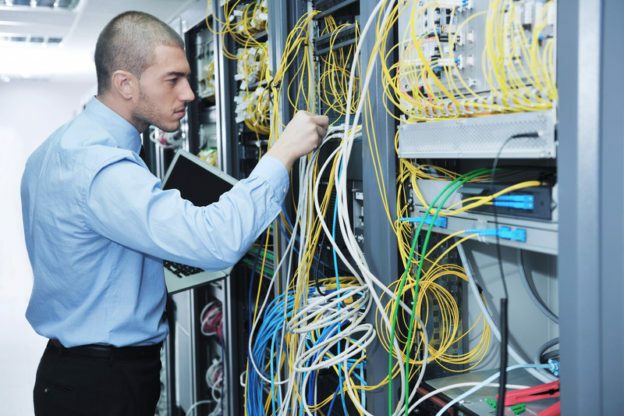 Generally speaking, a bachelor’s degree is sufficient when paired with appropriate work experience (say, as a network administrator – see below). That said, some companies may prefer additional education when hiring network engineers, such as a master’s degree in one of the fields listed above, or alternately, in business. You’ll simply have to consider the job opportunities available when planning your educational path. In truth, certifications generally aren’t required for network engineering any more than they are for creating a business continuity plan. Once you have your degrees and some experience under your belt, certifications are merely icing on the cake. However, some companies would prefer to hire network engineers that hold certain certifications, such as those offered by Cisco or Microsoft. They may not necessarily be required, but they can help to further your career and make you better at your job. Unfortunately, it is unlikely you’ll start your career as a network engineer. Many companies looking to hire for this type of position require several years of network administration first. This isn’t a terrible turn of events. In order to understand the needs and problems most businesses face when seeking the services of network engineers, you must spend some time in the trenches troubleshooting and fixing networks. This experience is essential to gaining perspective on how to build the best possible networking architecture for your clients. Just as computer security specialists should spend time dealing with hacking and other security issues so they can understand how best to prevent them, network engineers must gain experience in administering networks before they can design better options.